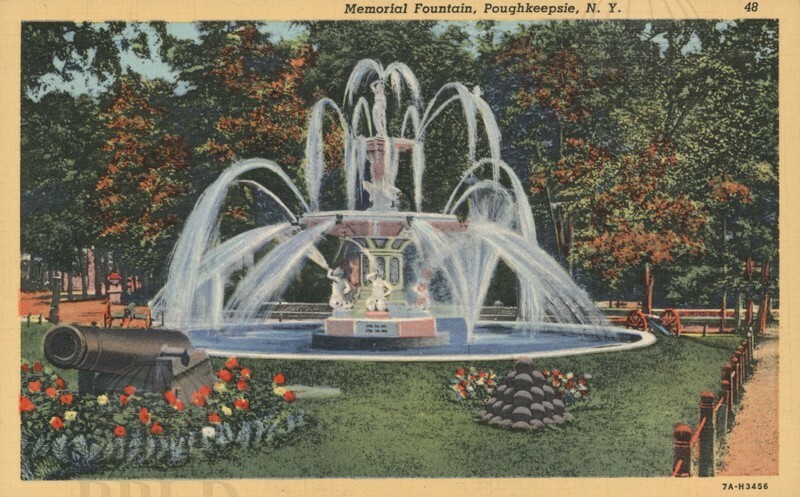 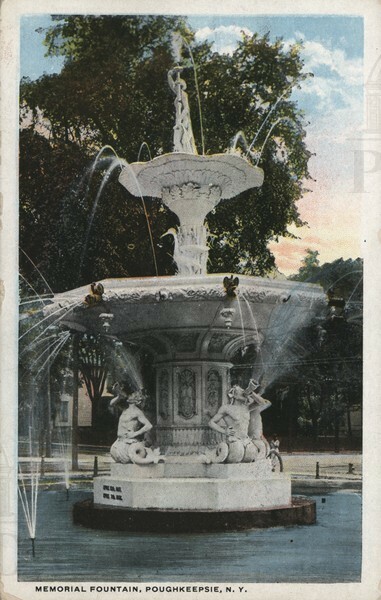 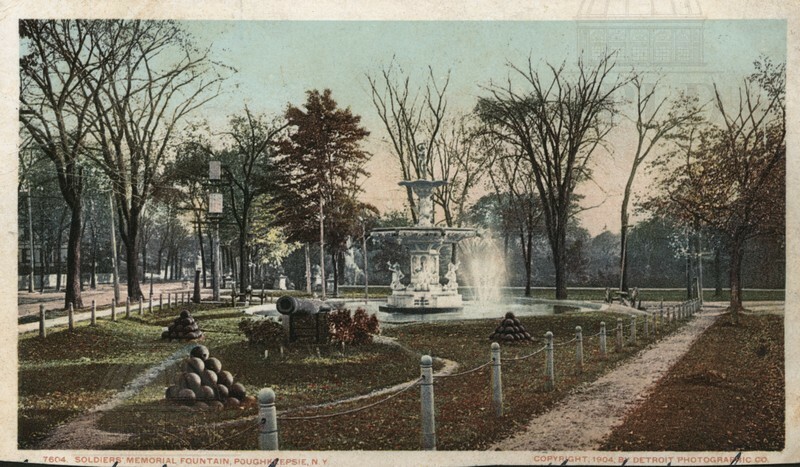 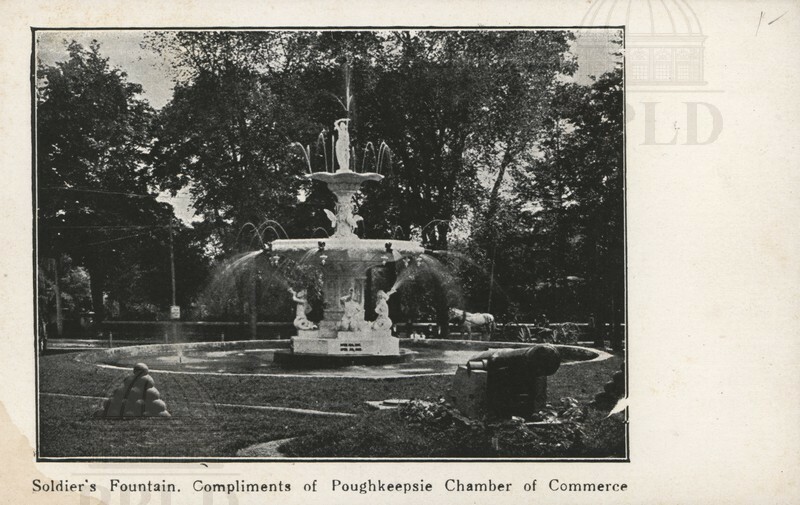 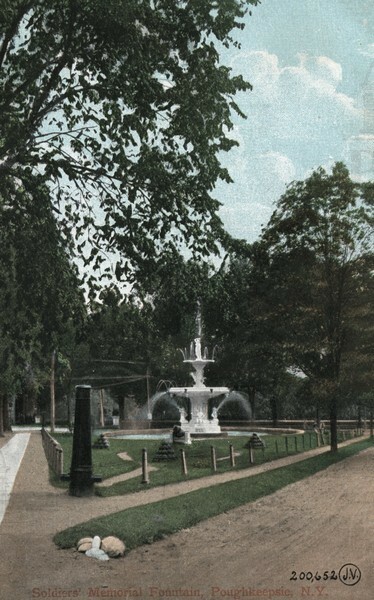 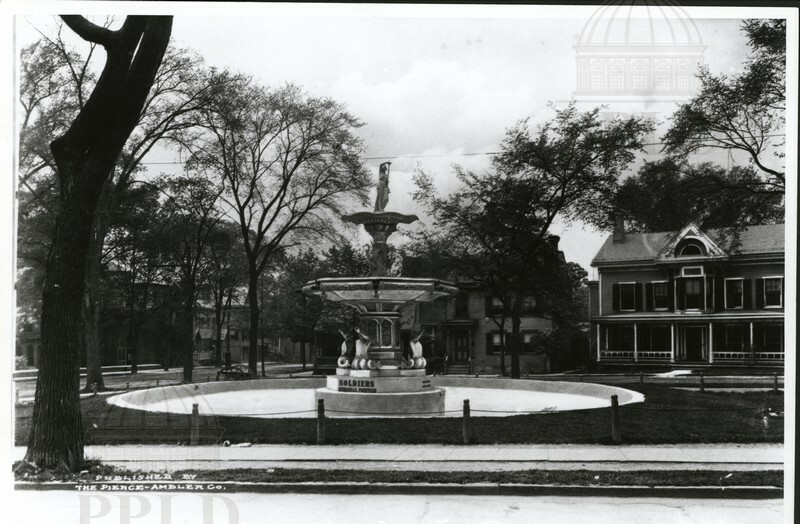 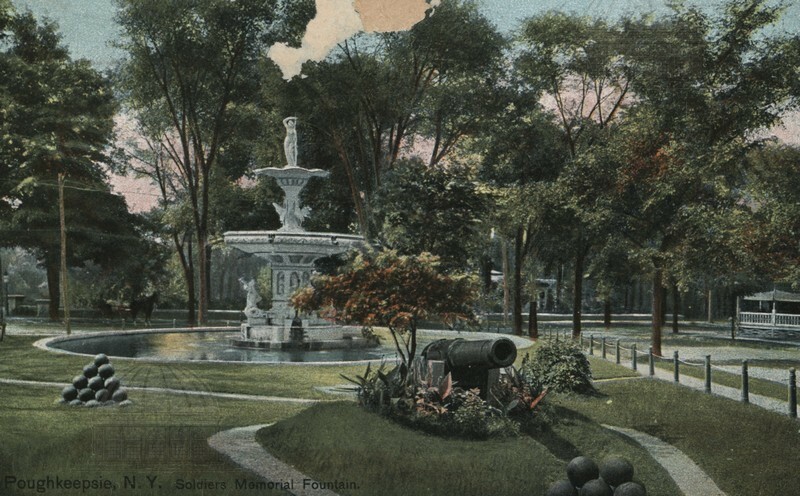 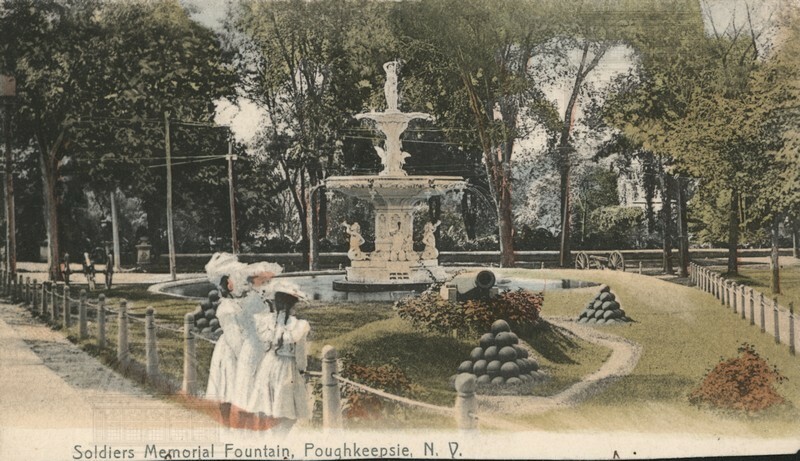 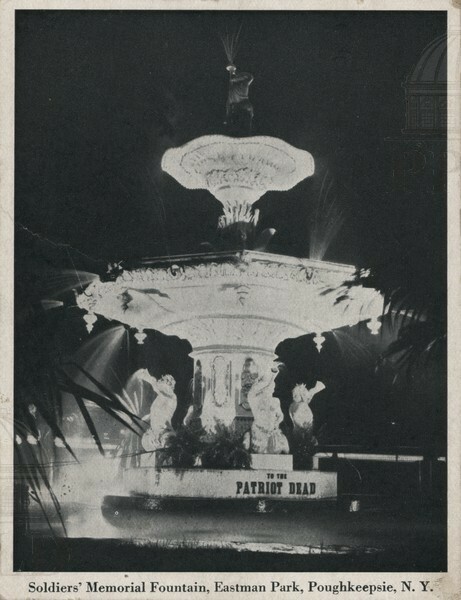 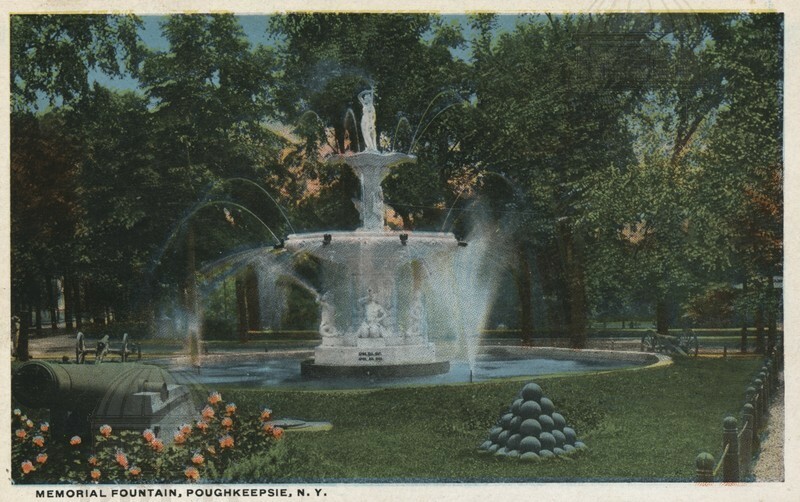 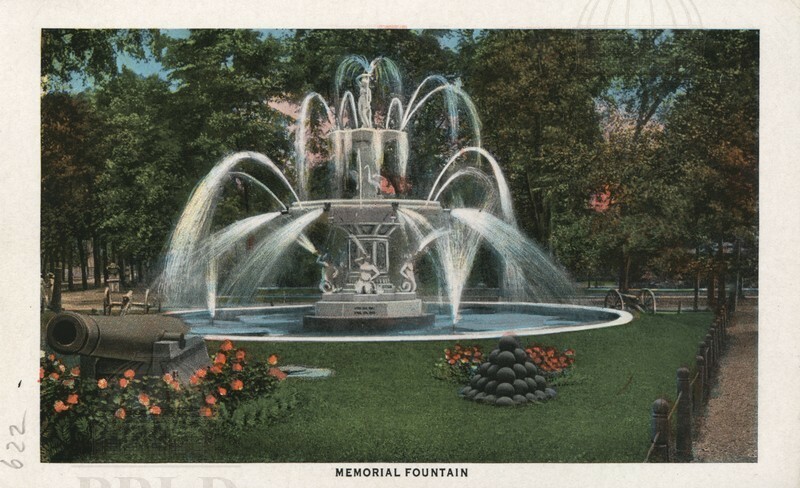 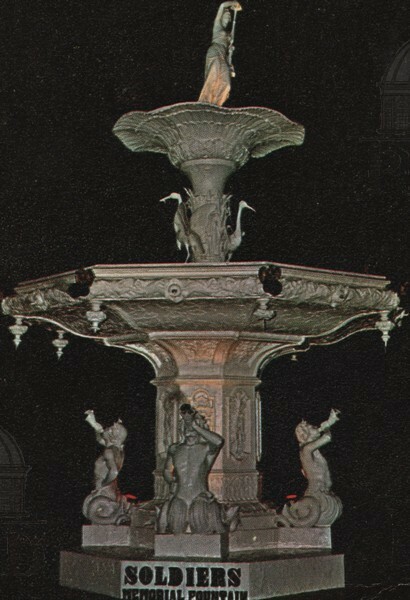 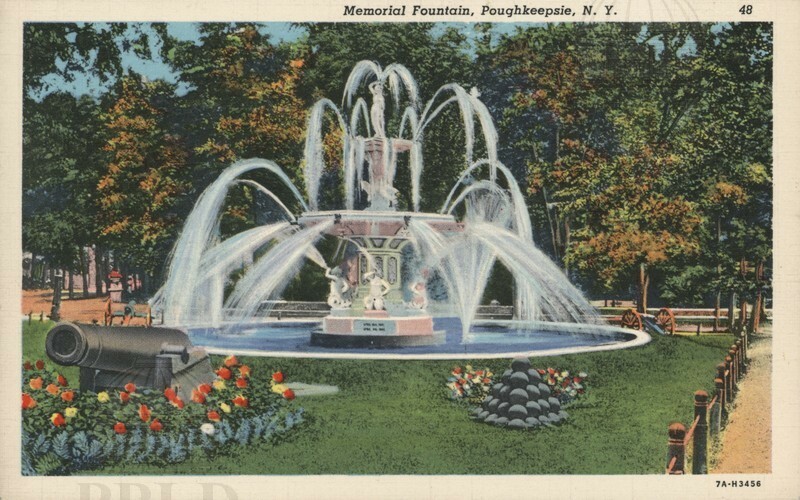 Color-tinted photograph of King Fountain in Albany. 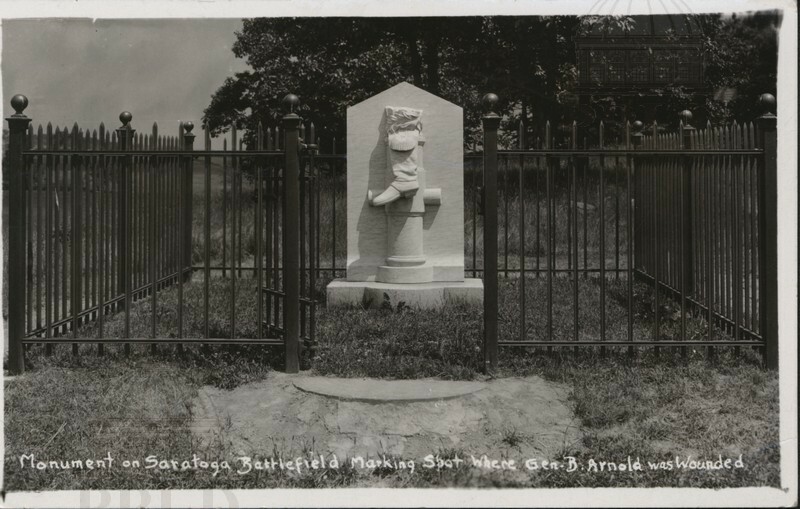 Black & white photograph of the monument on Saratoga Battlefield marking the spot where Gen. B. Arnold was wounded. 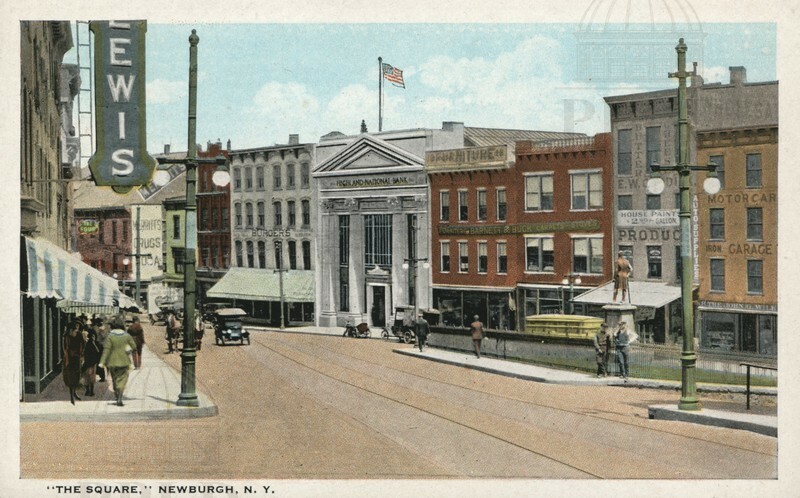 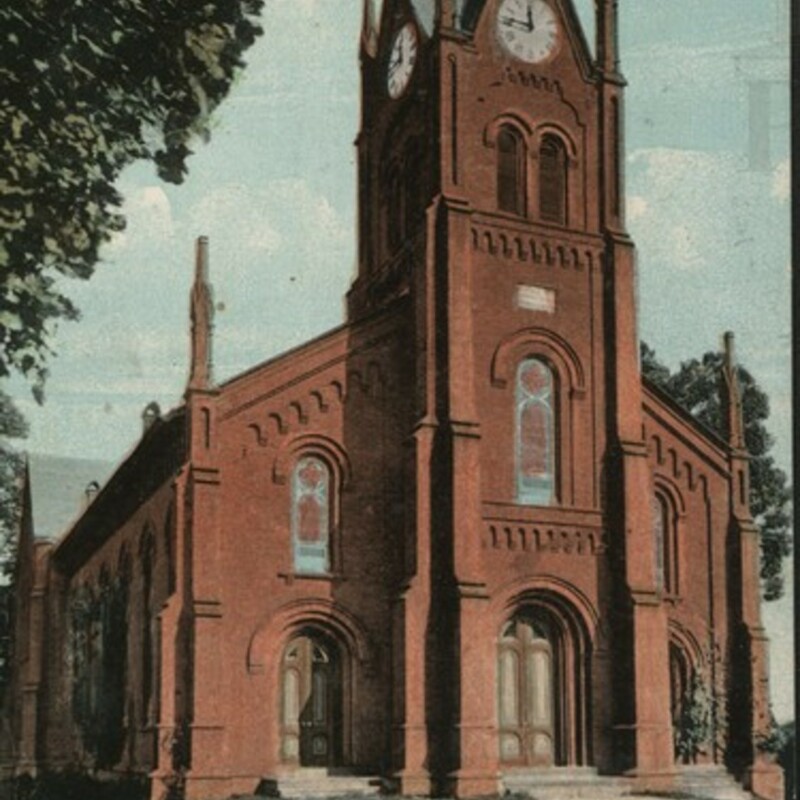 Color-tinted photograph of Clinton Square in Newburgh. 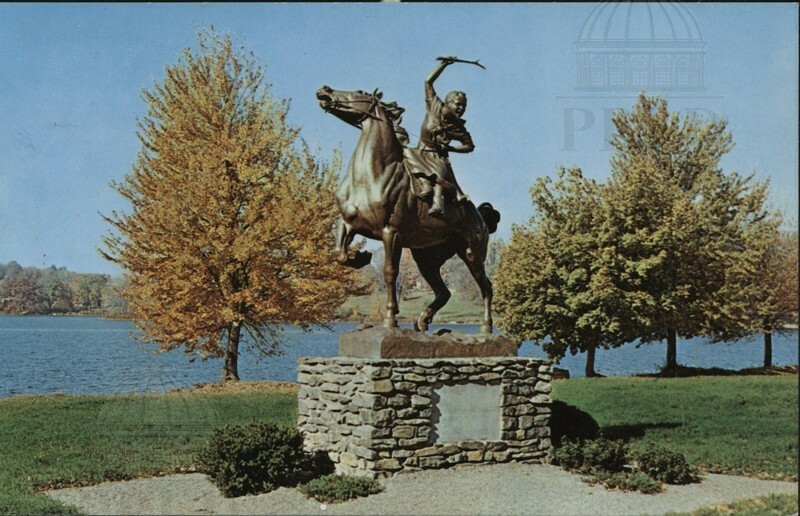 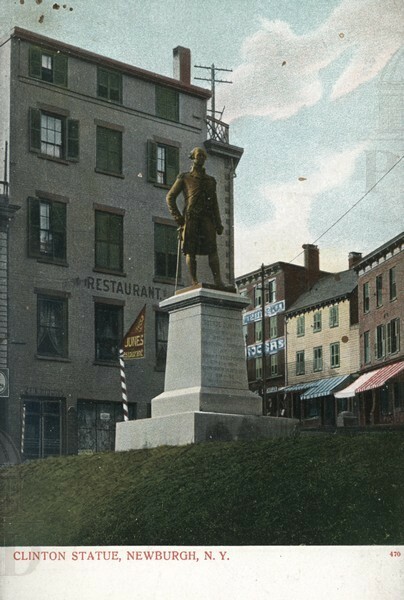 Color-tinted photograph of the Governor Clinton monument in Newburgh. 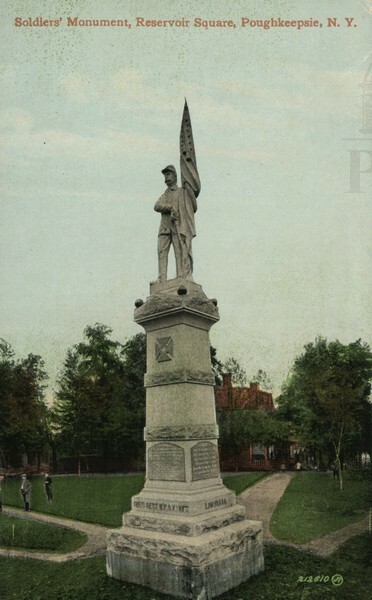 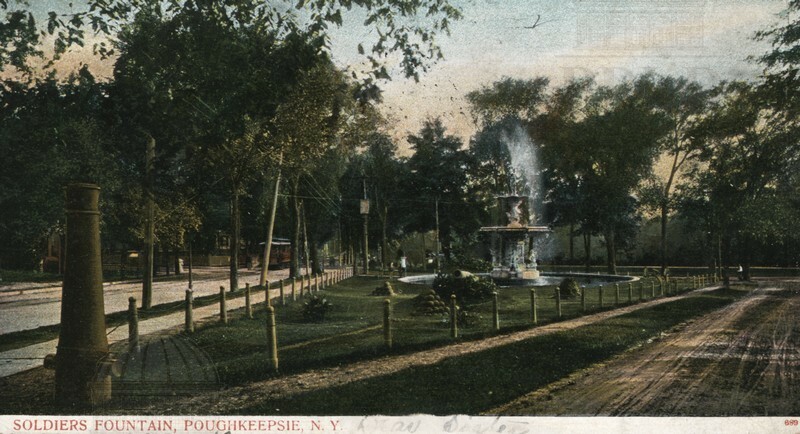 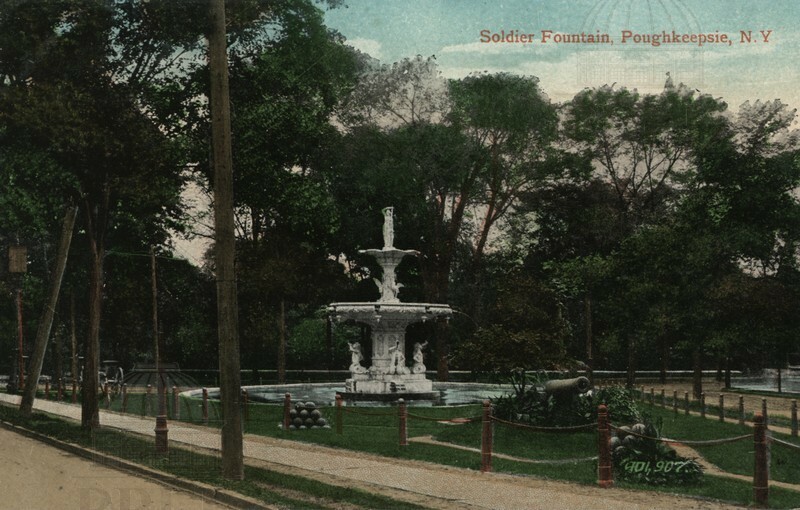 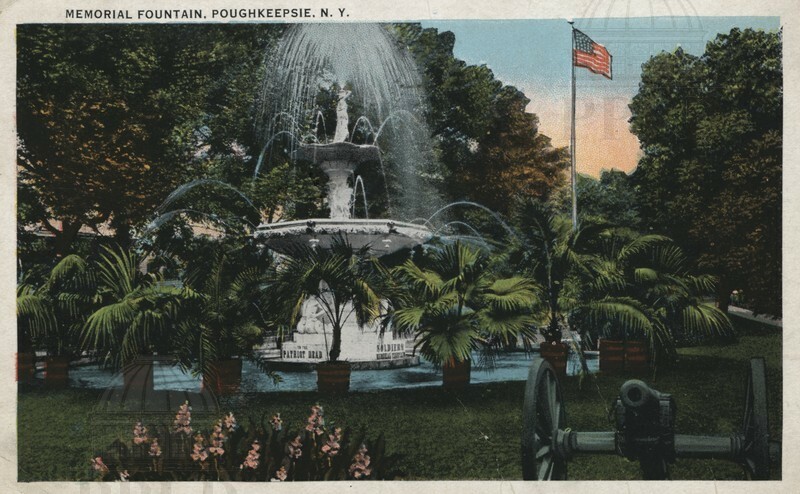 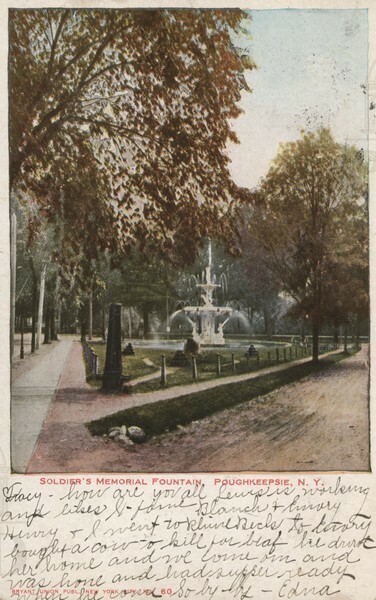 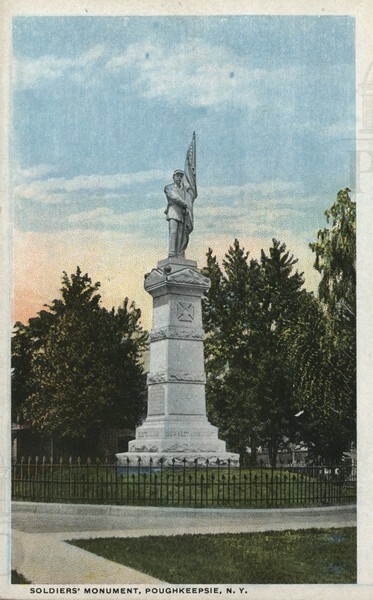 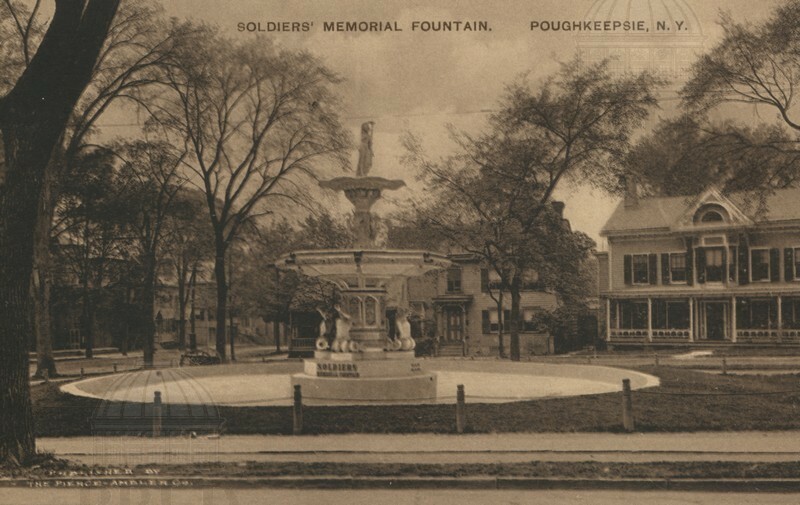 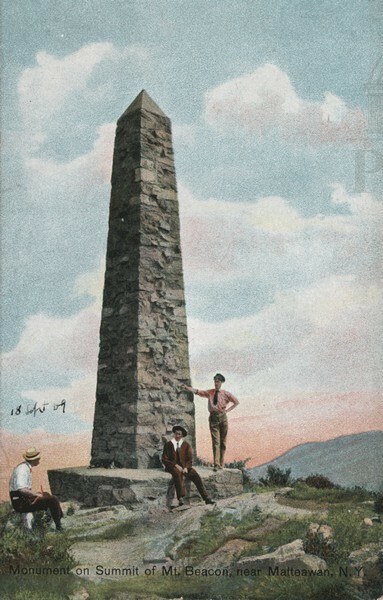 Color-tinted photograph of the Soldiers' Monument on Reservoir Square in Poughkeepsie. 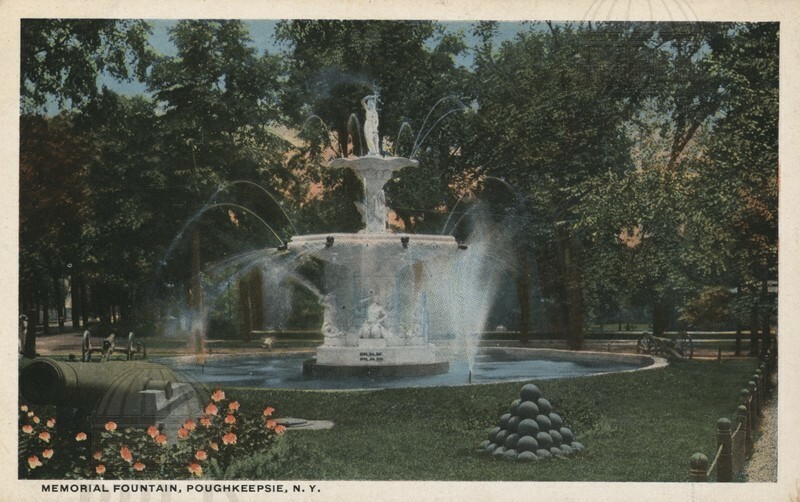 Color photograph. 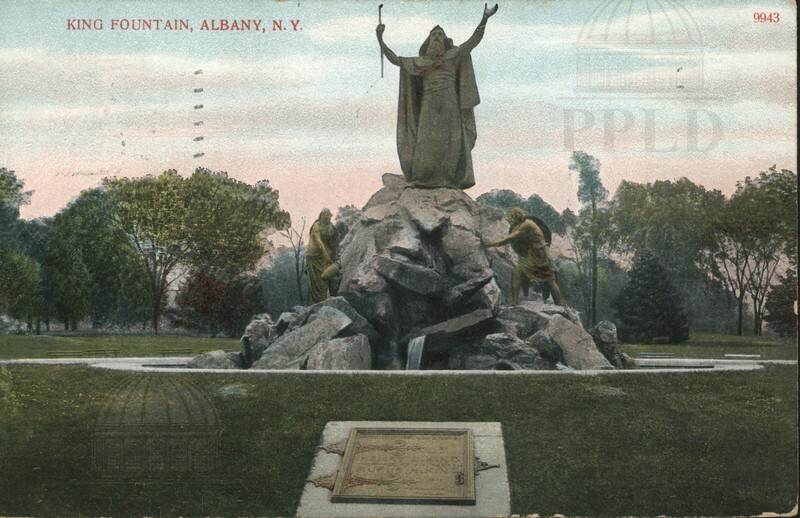 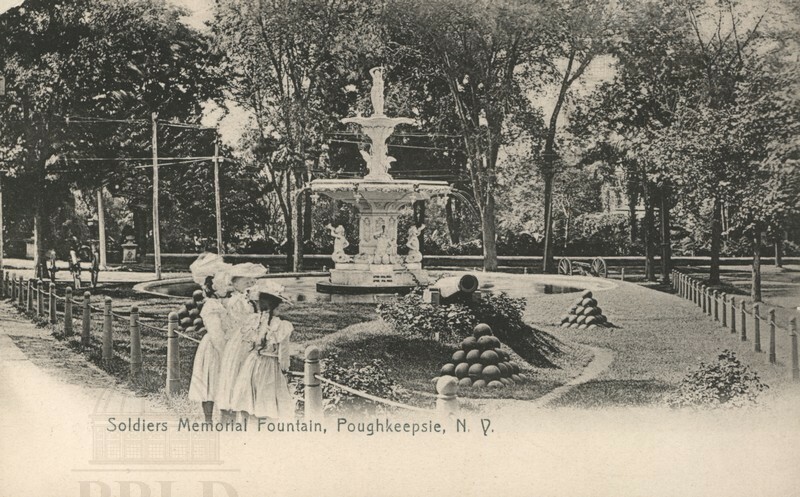 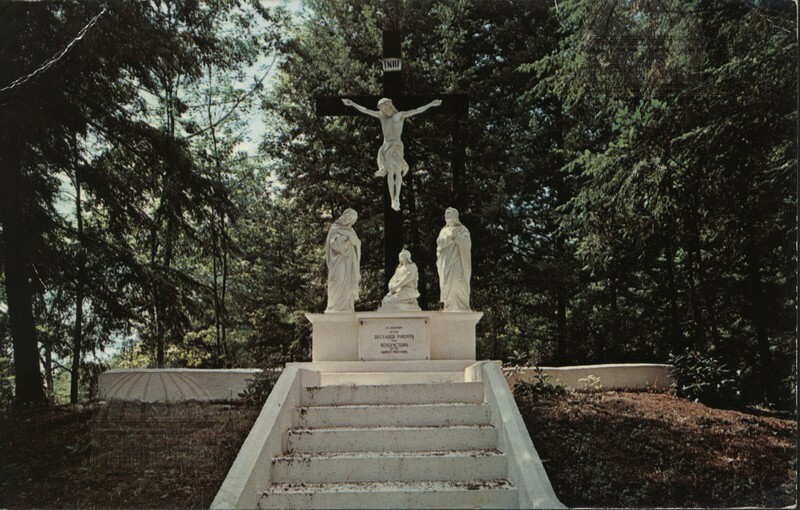 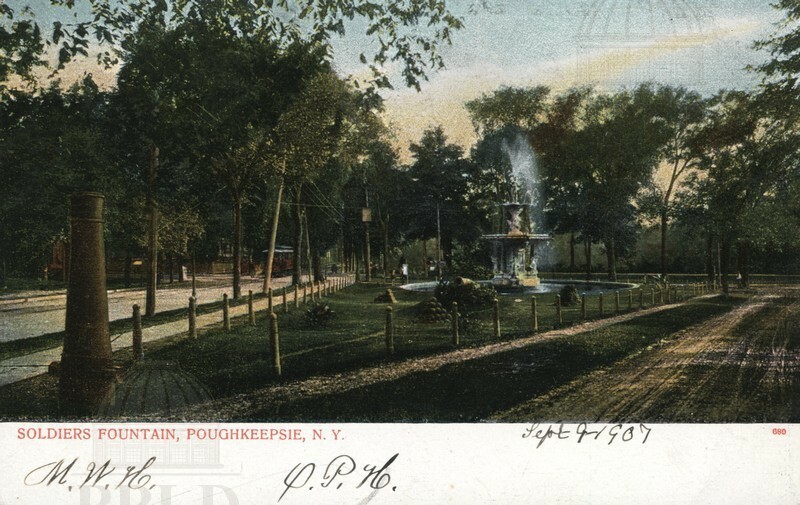 From the reverse: "A magnificent memorial was erected in the gardens of Marist College, Poughkeepsie, New York for the deceased parents & benefactors of the Marist Brothers."